Watching our new house being built is certainly exciting!!! Its very fascinating to see all the components come together. We are so excited for the end of May when we get to move in. Here are some picture updates!! 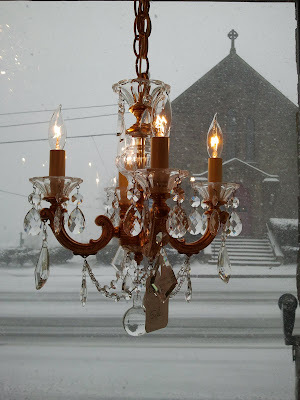 I'm still in the process of figuring out how to label each picture individually, so for the time being.... from top to bottom: Our entry way chandelier (its the baby of the kitchen one!). Kitchen chandelier. Me- the kitchen will be behind me. The doorway on the left leads to the mudroom and then garage. Our address block! Back view of the house; walkout basement, family room windows, master bedroom windows. View looking over stairs into dining room. Looking up to the 2nd level. View from in front of the fire place looking across living room into kitchen. Door on right opens up to the deck. Front, of course! Brad standing by the fireplace and then in the garage. I came across another great blog earlier this month, where I found on of the leg workouts Carrie Underwood does. If you have ever seen the girls legs, you know why I am so interested! I have organized the workout into an Excel file so its easier to follow along with and memorize. Tip - save as a .jpg and upload to your phone or iPod for quick review. I tried this, but the screen is too small on my nano....so I just memorized it. The original blog posting of this workout sounded confusing to me, even as an avid gym -goer. I wanted something much simpler to read and remember. A few notes: Make sure you drink plenty of water when doing this workout, you will be sore the next day! Pay close attention to stretching your calves and hamstrings, if you aren't used to sprinting. I just love this image everyone has been sharing on Facebook. 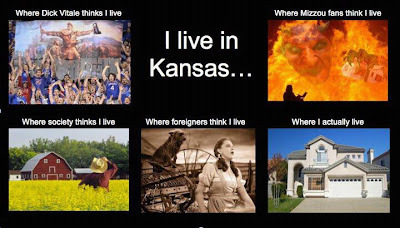 Once a Kansas Girl, Always a Kansas Girl... this sums it up.